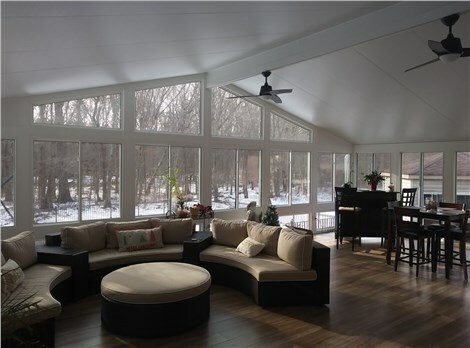 An all-season sunroom addition is the perfect way to expand your living space in your existing home, boost your home’s aesthetic appeal and functionality, and to add value to your property. However, after the construction of your sunroom, your responsibility to your home investment doesn’t end there. 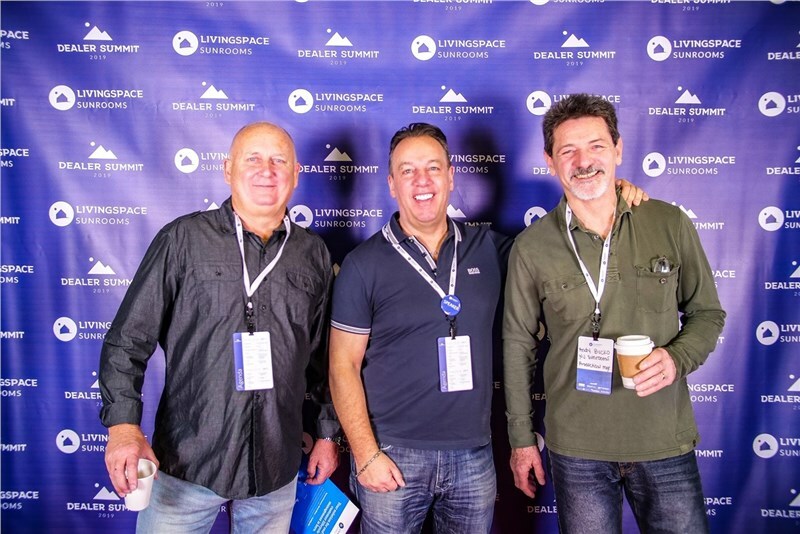 You also need to make sure that it is clean, well-maintained, and free from damage, so you can fully enjoy your investment. 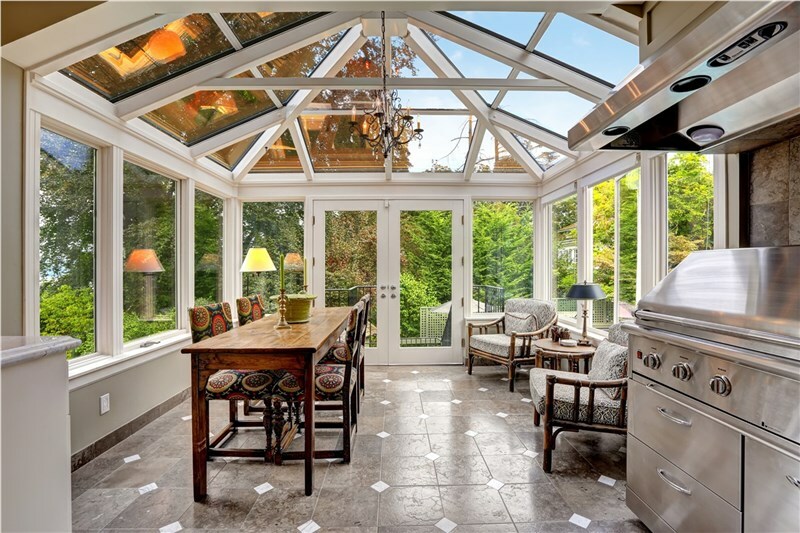 In this article, NJ Sunroom Additions, New Jersey’s leading all-season sunroom company, will share with you some of our most effective tips to maintain your sunroom and keep it looking new for years. Dirt and grime are very visible on glass surfaces, so it is highly recommended to clean your all-season sunroom addition on a regular basis. During early spring or in the hot days of summer, you need to put more attention into cleaning because the heat of the sun may harden existing stains. Below are essential cleaning and maintenance tips for your sunroom exteriors. Remove dirt and excess caulk that has accumulated around the window seals, and then clean the areas with denatured alcohol. Replace the glazing tape found between the glass and aluminum cap. When cleaning, don’t lean a ladder against the glass or put weight on it. Don’t use harsh chemicals when cleaning because it can damage your sunroom. Use a soft-bristled brush to get rid of deep-seated stains. Clean the surroundings of your sunroom especially if you have trees or bushes around it to avoid exterior damage. Keep an eye on water leaks to avoid the growth of mold. Use soft-bristled brush and cloth when cleaning the frames. Don’t use steel wool or scrubs because it can lead to scratches. Use normal glass cleaners and squeegee. If there are hard to remove stains, allow the mild cleaning solution to sit for a while but don’t leave it out long enough for it to dry. Grease hinges of windows with light oil at least twice a year. Clean the screens by pulling them out and using a gentle brush. Rinse the screens carefully and let them completely dry before putting them back. Rinse doors with water and mild detergent. For steel doors, lightly sand the surface if necessary and apply paint such that it blends well with the overall finish. For roof panels with aluminum, clean with warm water and brush to eliminate grime and other unwanted deposits. While doing so, don’t stand on the roof. Replace damaged weather seals and remove debris from gutters. Lubricate handles, locks, deadbolts, and other moving metallic parts using light machine oil. 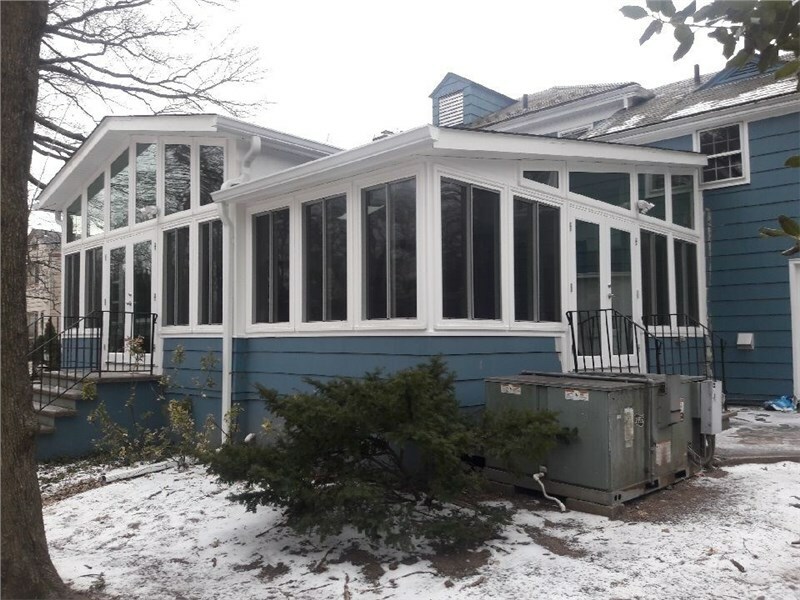 Storm Damage Repair: Nature can be harsh sometimes, so we help homeowners restore and fix damages in their sunroom brought about by storms or heavy snow. 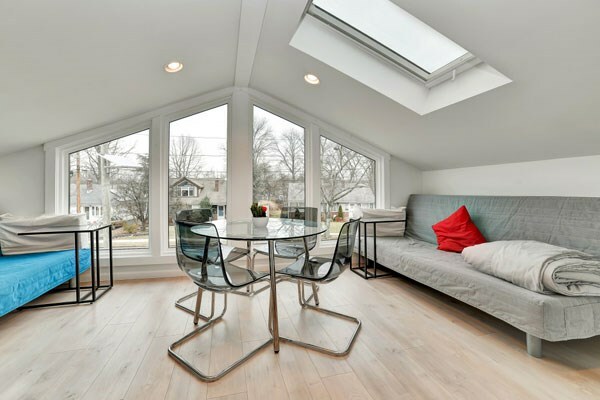 Increased Efficiency: NJ Sunroom Additions can retrofit more sophisticated energy-efficient glass over your existing structure to boost its efficiency and meet your needs. 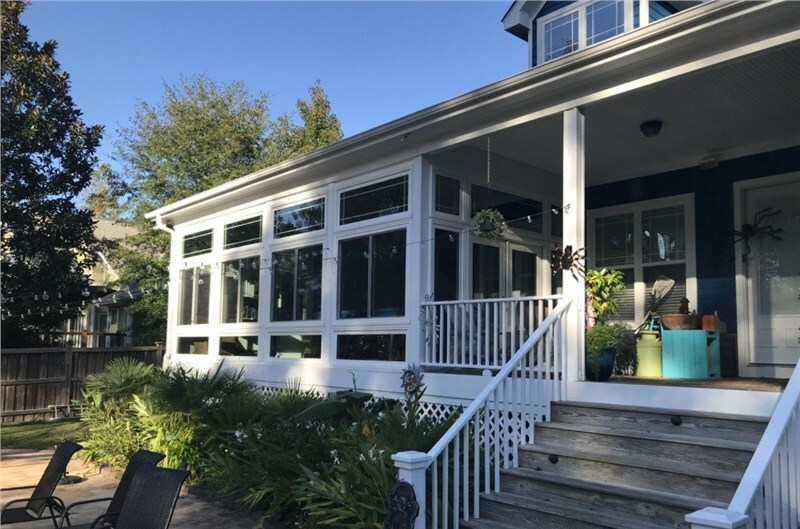 Better Curb Appeal: Aside from repairing damages, we can also boost the aesthetic appeal of your sunroom by adding stylish elements and to give it a luxurious look and feel. Water Protection: An all-season sunroom addition may be prone to water leaks. Aside from repair services, we also provide environmentally friendly roof paneling and water-resistant window materials. At NJ Sunroom Additions, we are dedicated to providing customized, energy-efficient, and durable sunrooms at reasonable rates. Because we want your investment to last a lifetime, we can also help you maintain the condition of your all-season sunroom addition and fix issues when you need it. Whether you need to fix storm damage, gutter and roof panel leaks, broken windows and door handle, as well as issues with temperature regulation; our experts can thoroughly inspect and address the problem from its roots. If you’re interested in building, repairing, or replacing your sunroom addition, we can help. Give us a call today at NJ Sunroom Additions to speak with one of our friendly representatives regarding our services or fill out this online form to get a free in-home estimate.